REGISTRATION NOW OPEN! 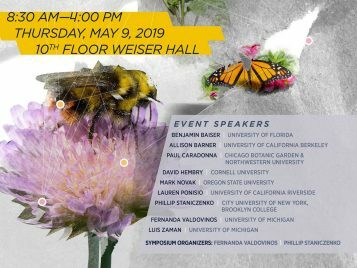 The UM-SFI Annual Symposium will take place on Thursday, May 9 on the 10th floor of Weiser Hall. Outstanding early career scientist in ecological networks from across the country will convene at the University of Michigan and share some of their Reckless Ideas. Geographic divisions in online dating CSCS Professors Elizabeth Bruch and Mark Newman analyzed patterns of communication between millions of users of an online dating site and found distinct geographic regions of daters, including separate regions for North and South California, Texas, Florida, and Michigan. What do we do at CSCS? Our Center studies systems like economies, the brain, ecosystems, political systems, social networks, and the Internet that consist of many interacting parts, which in turn produce collective behaviors that exceed the capabilities of the constituent parts. 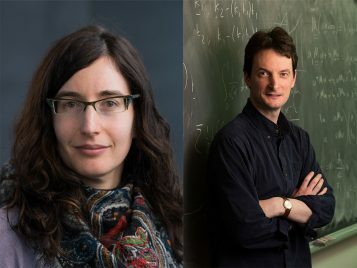 Dr. Fernanda Valdovinos and the Early Career Network Scientists Complex Systems and Ecology and Evolutionary Biology Professor Fernanda Valdovinos establishes early career scientist evolutionary networks Working Group at the Santa Fe Institute. UM-SFI brings these "Reckless Ideas in Ecological Networks" to Ann Arbor in May for annual UM-SFI Symposium. The Center for the Study of Complex Systems (CSCS) is a broadly interdisciplinary program in the College of Literature, Science and the Arts (LSA) at the University of Michigan in Ann Arbor, Michigan. Our mission is to encourage and facilitate research and education in the general area of nonlinear, dynamical and adaptive systems. Subcribe to receive emails about upcoming events at Complex Systems! This video was created for Complex Systems Professor Fernanda Valdovinos and Valdovinos Lab. Valdovinos Lab studies the structure and dynamics of ecological networks at ecological and evolutionary scales, including their resilience to biodiversity loss, biological invasions, climate change, and exploitation by humans. We strive to support our students and faculty on the frontlines of learning and research; to steward our planet, our community, our campus. To do this, the Center for the Study of Complex Systems needs you—because the world needs Victors.